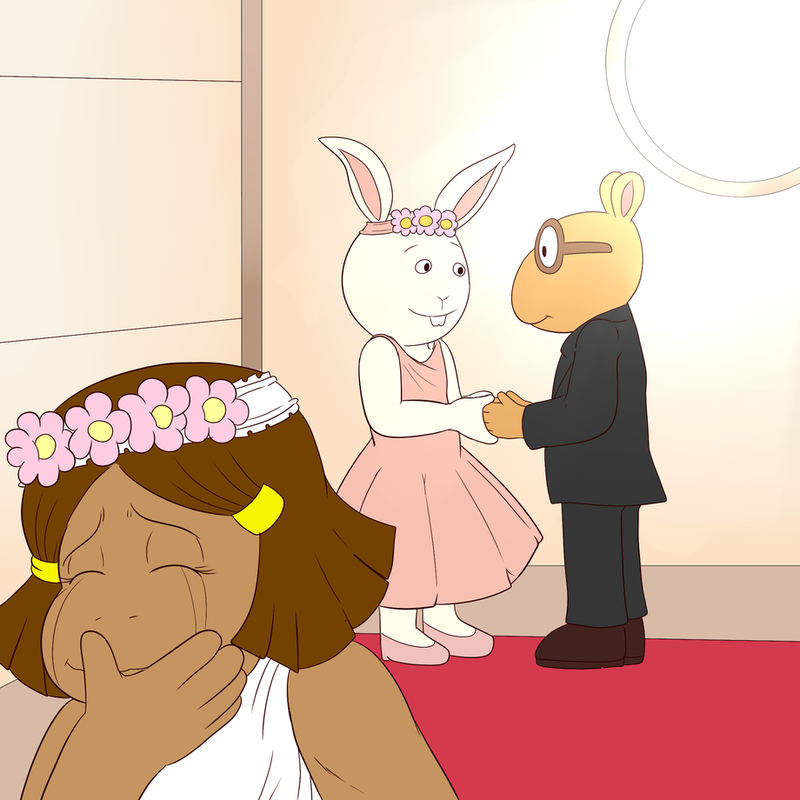 Is Francine crying, or trying to hold back laughter? ._. A bit of both maybe? I was not aware that Buster was into cross-dressing. Or Arthur, for that matter. It's legal for kids to marry? I was referring to gay marriage. haaaaa! NAI NAI NAI NAI!!! . . . . . . NAI! Can we see some of the honeymoon pictures? At least the wedding night.